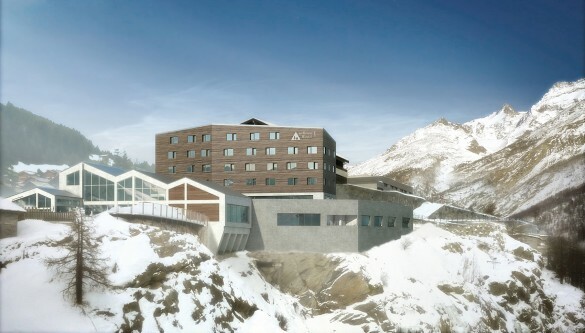 Say HI to the brand new wellnessHostel4000 – a luxury new hostel set to open in the Alps in Switzerland this September. 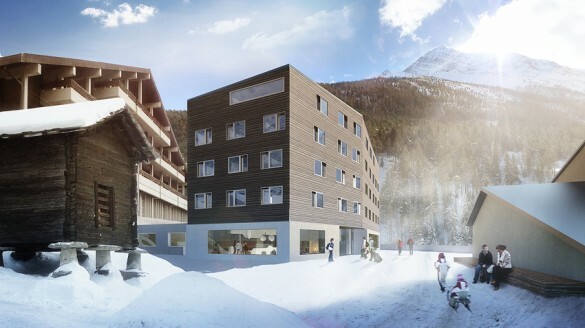 The hostel, which will feature luxuries such as a sauna, gym and therapy rooms, will be based in the picturesque village of Saas-Fee – a popular winter sports destination. wellnessHostel4000 is definitely going to turn heads with its unique architecture set into a dramatic backdrop of mountains. The large glass frontage of the building provides spectacular views of the surrounding mountains and glaciers and the hostel is placed next to the impressive Fee Gorge. 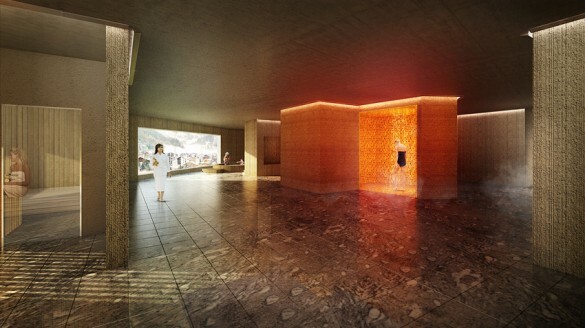 It will feature an integrated indoor swimming pool with a children’s pool and fun-slide; a wellness area with saunas, a steam bath, a bubble bath and relaxing room; a massage and physical therapy room; and a fitness area with a gym and cardio room. The hostel will offer 168 beds including six-bed rooms with showers on each floor, four-bed and family rooms with en-suite bathrooms, as well as double en-suite rooms. As well as spa and sporting facilities, the hostel will also offer a diverse range of cuisine aimed at sporting enthusiasts including a buffet breakfast and three course evening menu in the in-house restaurant, Bistro4000. 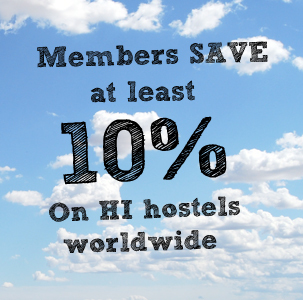 The hostel is suitable for single travellers as well as families and sports groups. There will also be spacious public rooms and conference facilities. Plus, Saas-Fee is a popular destination for skiiers, snowboarders and climbers so when you’re not getting pampered in the hostel you can get outside and get active! The hostel is the first five-storey building to be built in Switzerland using timber construction – it’s a modernised version of the local barn style. It will also comply with environmental standards which will be employed in the construction and operation of the building. The local solar district heating will be utilised to meet its heating needs and it will fulfil the Minergie Eco standard. All this comes at the same value for money that you’d expect from Swiss Youth Hostels. 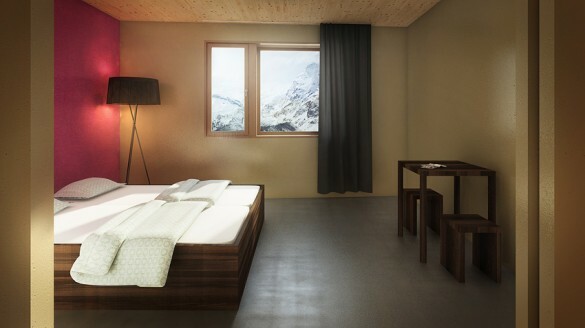 One night in a four-bed room with en-suite facilities will cost 65.50 Swiss Francs (about £44) during high season. This includes entry to the indoor swimming pool and the option to book a visit or treatment in the wellness or fitness area. For more info and to book a stay at wellnessHostel4000, click here.